– black radish – this is a wintertime specialty. They are spicy on the exterior and relatively sweet on the interior so if you want less bite remove the outer skin. I like them sliced into super thin rounds on salad, or sliced a little thicker and used as a dipper like a chip. – radicchio – you have two (or more) small heads: red and green. The red is “palla rossa” and the green is “castelfranco”, both classic italian varieties. They are sweet to bitter depending on the part of the head you are eating: the middle tends to be sweeter and the outer leaves more bitter. With all these chicory family salad greens I like to chop, soak in cold water, dry, and eat with a simple vinaigrette or olive oil/lemon/salt dressing. – lettuce – yes those are tiny heads of lettuce in your share – throw em in the salad. – carrots – “red core chantenay” is the variety. I definitely notice them being sweeter now after a few frosts. – beets – “Lutz winterkeeper” is the variety. They have really vigorous greens that look more like chard than beet greens. You could roast and add to the brussel sprout dish. They will take longer in the oven though – maybe 45-60 minutes depending on size & roasting temp. – leeks – 3 of em – remember: in a pinch use instead of onions! – winter squash – everyone got at least one Carnival acorn squash (the really fun patterned one pictured above) and one other squash – either another Carnival, a different acorn, a delicata, or a butternut. Remember that these can last quite a while at room temperature or better yet in a cool dryish basement. Thank you all SO much for doing your part to keep your veggies super-local. I appreciate any feedback you may have for me this season. And I welcome you to join up again next year. I will keep you posted on the details for signing up in 2014. Full Plate Farm (I think they are full for this season, though it doesn’t hurt to ask). Old Salt Marketplace hosts a year-round market @ NE 42nd/Alberta on Thursdays 4-7 (…I think…call them to double check the details). St Johns has one winter farmers market on Sunday Dec 8th from 1-6pm. Portland Farmers Market @ PSU runs every saturday through Dec 21st 9am-2pm. Peoples Co-op hosts a year-round market every Wednesday 2-7pm in SE. The Hollywood market is open year-round and runs 1st and 3rd Saturdays 9am-1pm Dec-April. The Hillsdale market is open these dates in the winter from 10am-2pm: Dec 8 & 22, Jan 5 & 19, Feb 2 & 16, Mar 2, 16, & 30, Apr 13 & 27. There may be more winter markets that I’m not aware of (let me know and i’ll add them to this list). 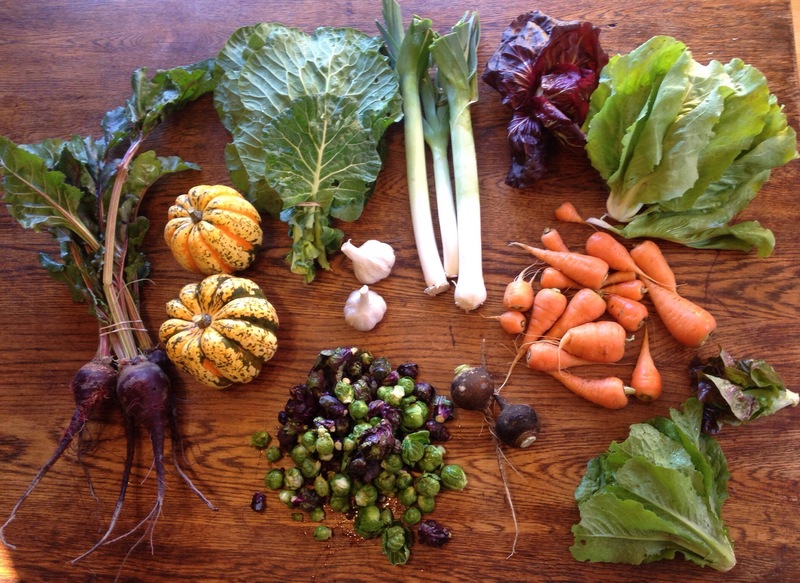 If you haven’t checked out Cully Neighborhood Farm’s Facebook page, now is the time to Like us so you can keep up with farm happenings through the off-season: www.facebook.com/cullyfarm. I will probably occasionally update this blog as well but nearly as often, since it is mostly about the CSA shares and I don’t want to flood your inboxes. Thanks again for all of your support! I couldn’t do this farming dream without all of you! I wish you all a happy holiday season and healthy delicious eating throughout the winter and spring. All the best from your farmer, Matt.